Stephen Colbert isn't flying onto the steps of the Lincoln Memorial on the back of a giant eagle just yet, but thanks to one social media site, he might be a bit closer. As part of an ongoing effort to convince Stephen Colbert to host a faux political rally at our nation's capital, members of the community-based news site Reddit.com have raised nearly $200,000 for DonorsChoose.org. Earlier today, the "Comedy Central" host sent a letter to the folks at Reddit thanking the community for their generosity. "Despite how silly and nonsexual reddit can be, your true colors show when someone is in need," Colbert wrote in the letter, which was sent with a photo of the comedian attached as proof of authenticity. DonorsChoose.org funds classroom projects across the United States. So far, the $194,000 donated in Colbert's honor has helped 51,334 students. "You have inspired me by helping untold thousands of students; with the momentum you've created, we could stage a hundred rallies," he said. The exchange between Reddit and Colbert began two weeks back when a Reddit user submitted a post asking Colbert to host a mock political event in Washington, D.C. in response to Glenn Beck's "Restoring Honor" rally days earlier. A website and Facebook group petitioning Colbert to host a "Restoring Truthiness" Rally popped up later that day. Though this may seem like an anti-conservative movement, in the eyes of the Reddit community it would be better categorized as an anti-absurdity movement. Referencing members of the Tea Party movement, a line from the initial post suggests that the faux rally would "show them a mirror and hopefully some will realize how ridiculous they actually are." In a recent New York Magazine article Jon Stewart echoes a view that those involved with Beck's rally are unreasonable. "Maybe we would do a ‘March of the Reasonable,’ on a date of no particular significance," Stewart said. The Colbert Nation was issued a response Sept. 8 when Colbert told his audience that he needed a sign from God, in the form of a flock of geese, before he could host any rally. On Sept. 14, members of the Colbert Nation released a flock of doves outside of his studio. His response: "Nation, tonight I am going to announce that I am going to ask you to stop sending me live animals. Please." The group's next step was to start raising funds. They set a goal of $101,101 by 10/10/10. The group raised $46,983 in just eight hours, smashing their goal in less than 24 hours. Today's letter by no means contained a definitive answer from Colbert, but he did leave the option open. "I might just call on you, Redditors - for nothing is more terrifying than tens of thousands of Heroes taking to the streets with the faint odor of bacon wafting behind them," he said. "Except for bears, obviously." 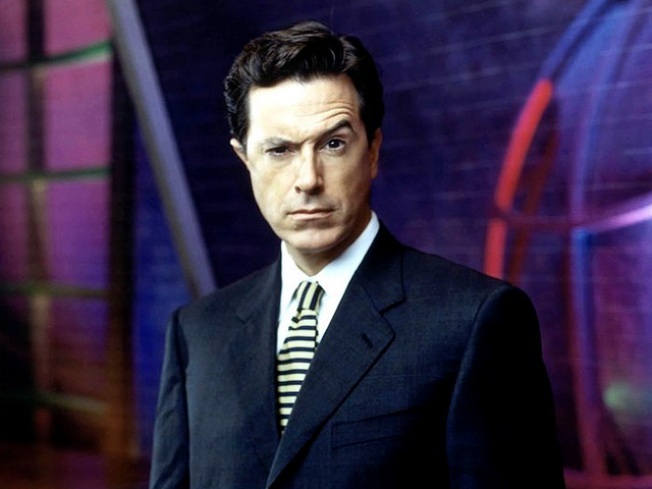 For those who may need help deciphering the number of Reddit-related internet memes packed into Colbert's response, redditor beauh_dave breaks them down in the comments.